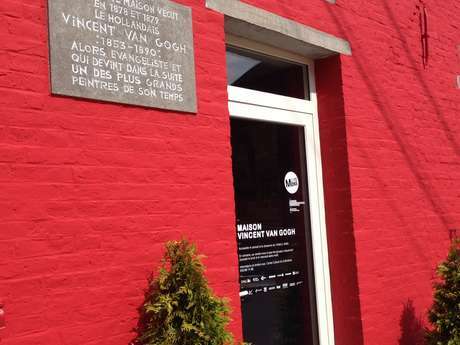 Inaugurated on 12 June 2015, the Maison van Gogh in Wasmes is a place full of history. 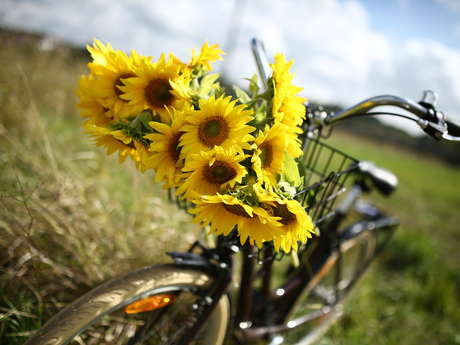 Inaugurated on 12 June 2015, the Maison van Gogh in Wasmes is a place full of history. Derelict for a long time, it remained standing despite the effects of time, thus preserving the passage of its illustrious tenant, Vincent Van Gogh. Impossible to overlook with its colour that stands out from its neighbours. The residents of Wasmes have known it pink for a long time. Its 'new' colour is actually only the exact reflection of its original colour. The work of the architect Franck Alland, with the help of local businesses, and by sampling the original facade coating, achieved this successful effect. What would be a more beautiful symbol than this fiery colour as a tribute to Van Gogh. On 4 March 1879, Van Gogh quotes the maison Denis in one of his letters to his brother Théo. Arrived at the Borinage to complete his training as pastor, he took lodgings with the Denis family. This house is one of the rare testimonies of the presence of the painter in the Borinage region. The preservation of this common heritage and sharing it with all the people and fans of the artist were therefore a priority. To preserve the history of the place, a very simple room, as that of Vincent could have been, was thus installed. An old well visible from the outside has also been preserved, it symbolises the living conditions at the time and without a doubt a place where the painter went daily. Today the Maison Van Gogh has found its function. It complements the 'pilgrimage path' of the ‘Van Gogh Europe’ circuit that lists all the places where the painter has lived. From his birth house of Groot Zünder to the Auberge in Auvers-sur-Oise, the former Maison Denis has finally found its place. There are no paintings or drawings by the artist on display but some staging elements, which allow you to soak up his passage. A touch screen reveals a dozen of original letters translated in French, English or Dutch for the visitors. A film will immerse you in the Borinage of that time, through excerpts from letters written by the painter. Van Gogh had a talent for writing, his letters are all the testimony of his daily life. A rare heritage to dive into "his era” and to share his emotions. For the visit. Please contact the Cultural Centre of Colfontaine which manages group weekday visits. Tel. : 065 / 88 74 88 or email: cccolfontaine@hotmail.com. The House is open to the public every weekend from 10 am to 4 pm.